Another month has passed, but we wonâ€™t see more rankings released publicly until after playoffs. With a week and a half until the first D2 tournament, more upsets are indicating that there may be some busted brackets on the horizon. If you aren’t traveling to see D2s this year, you will have to pay to watch on WFTDA.tv, at $7 per weekend. Over the weekend, there were a couple underdog teams keeping things interesting. DC #42 is facing their second upset in a matter of weeks after a trip through Texas. They hit up both the Dallas Derby Devils and Houston Roller Derby over the weekend, and went 0-2. Dallas, who just barely missed out on playoffs this year at #66, pulled out an 185 point win over the DC All-Stars, followed by a close loss to Houston the next day, 190-160. DC also lost to the #36 ranked team, but it was by a wider, 89 point margin and dropped to #75 on Flat Track Stats from #43 after their last three losses. With a new coach in Menâ€™s Team USA skater, TJ Binkley, Dallas may be on the rise after these two strong showings and some changes in their training. The second upset was a close game in Asheville between Blue Ridge #41 and Demolition City #60. Blue Ridge currently sits at the top of D2, but slipped into D1 playoffs this year after a few teams declined. Demo City has been a bit of an unknown, due to few sanctioned games so far this season, but showed they might be one to watch in Kitchener-Waterloo with a three point victory over a team who was on an eleven-game winning streak. Blue Ridge was up by two points at the half, and looked to be the winner with four seconds left on the clock. Demolition City wisely called a timeout and managed to pull off the win in the last jam. Combined with their close game against Nashville the weekend before, Demo is looking to be a tough contender at playoffs. A little lower in the rankings, Division 3 team, Quad City Rollers #98, went to Champaign-Urbana to take on the Twin City Derby Girls #77. After a back and forth game, Quad City took the win 171-154. Twin City has been sitting in the 70s after they jumped into Division 2 late last year, and had a good spring at Skate to Thrill and Spring Roll. Though they recently played and beat North Star by a close 10 point margin, it was much closer than their 40 point win over them in April. Quad City entered the WFTDA rankings at #74 in March of this year, but had dropped to #98 since then. So whether Quad City is on the rise, or Twin City may be stumbling a bit, these teams may stir up the latter half of D2. Speaking of North Star #74, they traveled to Waukesha to take on the Brewcity Bruisers #49 and lost 178-89. Brewcity has had a good season, while playing a lot of games, and now sits at 12-5 in 2014. North Star on the other hand, has had a rocky season and currently has a record of 5-9 in 2014 with FTS ranking them at #90. Ann Arbor #111 took on Grand Raggidy #64, and lost by more than expected. The Ann Arbor Brawlstars have been doing well this year, and are underranked according to Flat Track Stats and should be #87, but Grand Raggidy played a very clean and together game. The GRRG All-Stars had fallen a bit in the past year, and barely snuck into D2 playoffs, but their performance over the weekend might be anticipating a stronger team in time for tournament season. On the eve of D2 playoffs, there are only a few games of note. Rideau #47 will be mixing it up with some lower ranked teams, including a few D3 leagues. They will play #105 Calgary and #83 Hammer City in the Maple Stir-Up, a Canadian invitational hosted by the Hammer City Eh! Team. Head over to the live section of DNN to watch, starting Saturday at 10AM. Also coming up, is Madison #29 hosting the Chicago Outfit #51. The Dairyland Dolls have had a pretty consistent year, whereas the Outfit took a nose dive before turning things around at Spring Roll, and making it as a #5 seed to D2 playoffs. Playing up will be a good test for Chicago before heading into tournament season. This will be a WFTDA.tv presentation. 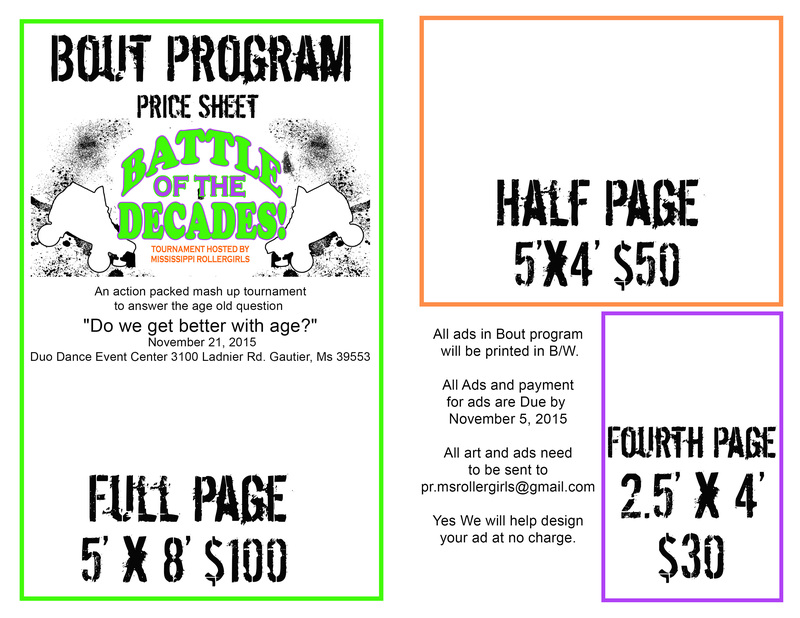 Junior Roller Derby College Scholarships? YES, PLEASE!